Hi All, Thanks for dropping in to see Day #6! Half way through, and into December eeek! 24 days can you feel it??? I certainly can, not sure if the feeling is tightness in my neck or the joy of the season, but catering season is in full swing, gifts are nearly bought, and my trees will hopefully go up tomorrow. 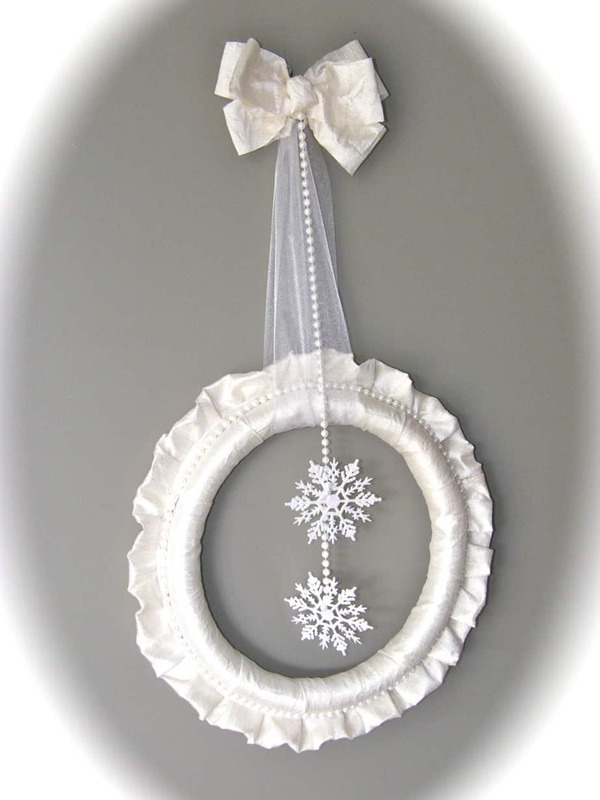 I love how classy this white winter wreath is. Plain, simple, one colour and best of all, it is just wintery so you can leave it up all season long. This white winter wreath will compliment any holiday decor. Have a great weekend, thanks for dropping in! Check out Day#5 the Vintage Skates.